Gyro Bowl Non Spill Snack Bowl Only $6.05 SHIPPED! You are here: Home / Great Deals / Amazon Deals / Gyro Bowl Non Spill Snack Bowl Only $6.05 SHIPPED! I love when these As Seen On TV things go lower in price! 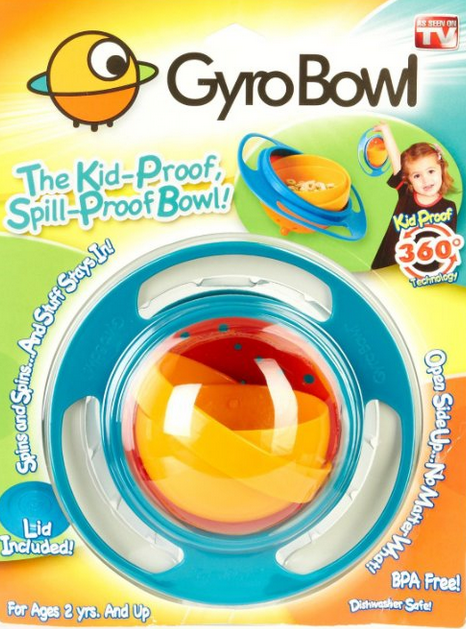 This Gyro Bowl Non Spill Snack Bowl is Only $6.05 PLUS FREE Shipping with Prime! If you have a toddler, you need to get one of these to save your sanity in the department of cleaning up messes! Get yours NOW! Make sure you sign up for your FREE 30 Day trial of Amazon Prime to take advantage of the FREE shipping with this offer!